The Law office of Schroeder and Schroeder has been in service to Frontier County for 130 years and served by five generations of lawyers. The first Attorney in Curtis and Frontier County was W. H. Lathem who practiced in Frontier County for over 50 years until his death on February 22, 1935. 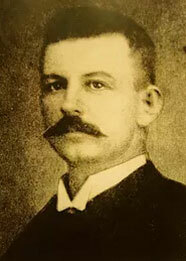 Mr. Lathem was admitted to the Bar Association in Pennsylvania in 1884 and commenced his law practice in Curtis in 1887. With his qualifications in education and training his life was largely devoted to public service, serving as County Judge, County Attorney and Post Master. He was a charter member of the Curtis Methodist Church and of the local Masonic Lodge. He was the first Sunday School Superintendent and a Trustee for more than 45 years. Mr. Lathem was married to Wilmot Thorne, who predeceased him on December 12, 1917. They had two daughters, Niana Hawthorne and Alta Schroeder. Fred J. Schroeder Sr. was the second-generation Schroeder Attorney in Frontier County. Fred Sr. married Alta Schroeder and began practicing in Curtis in 1916 after graduating from the University of Michigan School of Law. Fred, son of Frederick and Katherine Schroeder was born at Eustis where he attended public school, which consisted of ten grades. He finished the last two years of high school at Lincoln. 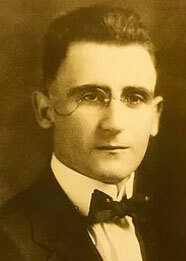 After attending the University of Nebraska for four years where he received his Bachelor’s Degree, Fred Sr. enrolled in the College of Law at the University of Michigan where he graduated in 1916. Fred Sr. practiced law for 52 years, and during this time was Frontier County Attorney for 30 years. Fred Sr. and Alta had four children, namely: Betty Armbruster, (1919-2006) Katherine Wilson, Helen Latta and Fred J. Schroeder Jr.
Fred J. Schroeder Jr. was the third generation Attorney in Frontier County. Fred joined his father Fred Sr. in 1954 and practiced in Curtis for 36 years, in the footsteps of his grandfather, W.H. Lathem, and his father, Fred J. Schroeder Sr. Fred was a graduate of St. Johns Military Academy, the University of Michigan and he received his Law degree from the University of Nebraska in 1954. In 1953, Fred Jr. married Shirley Forstedt of North Platte, Nebraska. They had four children, namely: Jacque Fogel, Jon S. Schroeder, Jeffrey T. Schroeder and Jill C. Schroeder. Jeffrey is a practicing attorney in Lincoln, Nebraska. Over the many years he practiced law he commanded the respect of the citizens of Frontier County. He was respected by his profession as a worthy adversary in the varied and extensive practice which he enjoyed. Fred Jr. will be long remembered for his contribution to his profession. Jon S. Schroeder is a fourth generation Attorney in the Schroeder and Schroeder Law office. 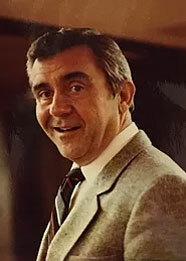 Jon joined his father, Fred Jr. in the practice of law in 1984. 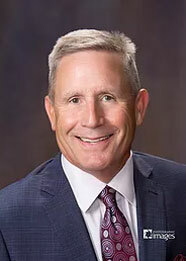 Jon received a Bachelor’s Degree in English from Nebraska Wesleyan University in 1978, a Masters Degree in criminal justice from the University of Nebraska at Omaha in 1980 and his Jurist Doctorate Degree from Creighton University in 1984. Jon married Rebecca Heinrich in 1989. Jon and Rebecca have four children, namely: Jaclyn Cooper, Whitney Schroeder, Tommy Schroeder and Shaylee Schroeder. Jon has two grandchildren, Tylee Cooper and Brynlee Lindstedt. Jon was elected Frontier County Attorney in 1991 and has served as the Frontier County Attorney for 27 years. Jon was elected the President of the Nebraska County Attorney’s Association in 2004, has been a member of the Nebraska Judicial Nomination Commission, the MCLE Commission, the Executive Council of the Nebraska State Bar Association, a fellow in the Nebraska Bar Foundation, President of the 14th Judicial District Bar Association, Chairman of the Board of Trustees of the United Methodist Church, Chairman of the United Methodist Church Council, past President of the Maywood Lions Club, Medicine Creek Chamber of Commerce, the Curtis Fall Festival and was Chairman of the Curtis Centennial in 1987. Jon incorporated the Schroeder and Schroeder Law Office into a professional corporation in 1991. 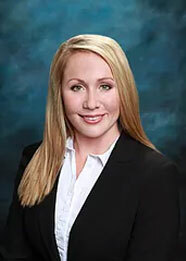 Whitney Schroeder Lindstedt is a fifth generation Attorney in the Schroeder and Schroeder Law office. Whitney joined her father, Jon in the practice of law in 2016. Whitney received a Bachelor’s Degree in Criminal Justice from the University of Nebraska at Kearney in 2012, and her Jurist Doctorate Degree from Creighton University in 2015. Whitney married Brandon Lindstedt in 2014. Whitney and Brandon have one child, namely: Brynlee Lindstedt. Whitney was appointed Deputy Frontier County Attorney in 2016. The present staff of Schroeder and Schroeder P.C. includes Jon, Whitney, Misty Lenz, Jessica Nutt, and Dawn Lemon. The Lathem, Schroeder, Schroeder and Schroeder Law Firm has been in business for 130 years in 2017. Schroeder & Schroeder, P.C. is located in Curtis, NE and serves clients in and around Curtis and Frontier County.